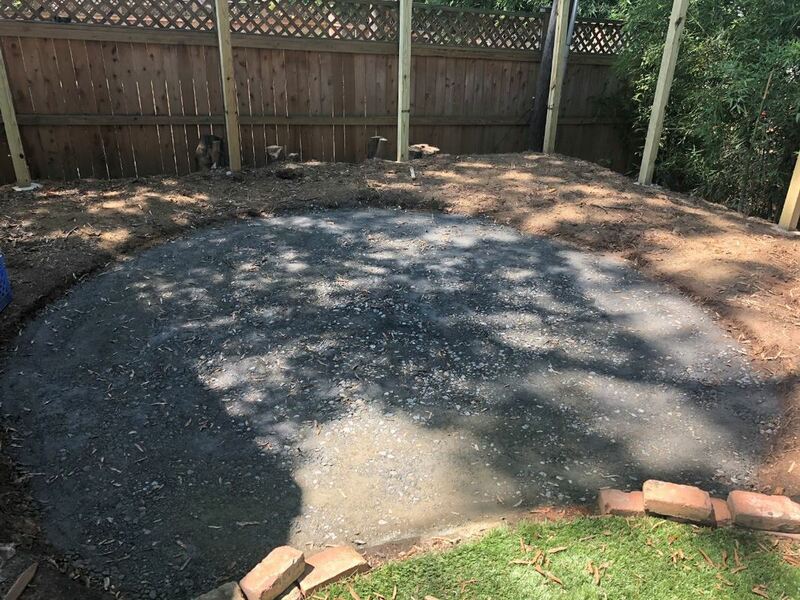 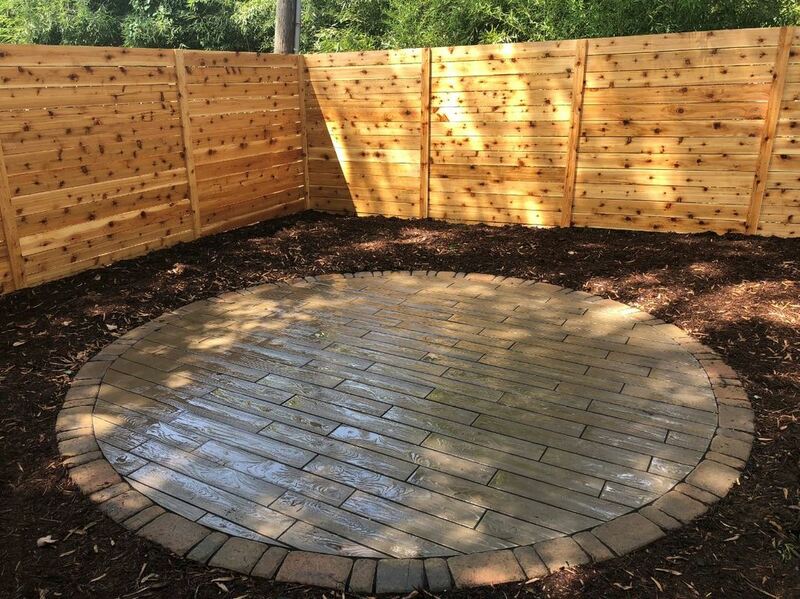 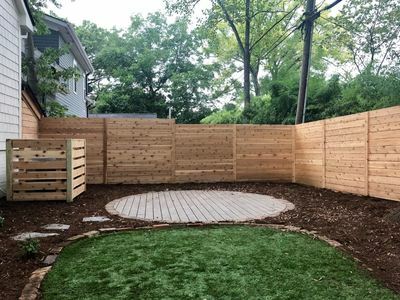 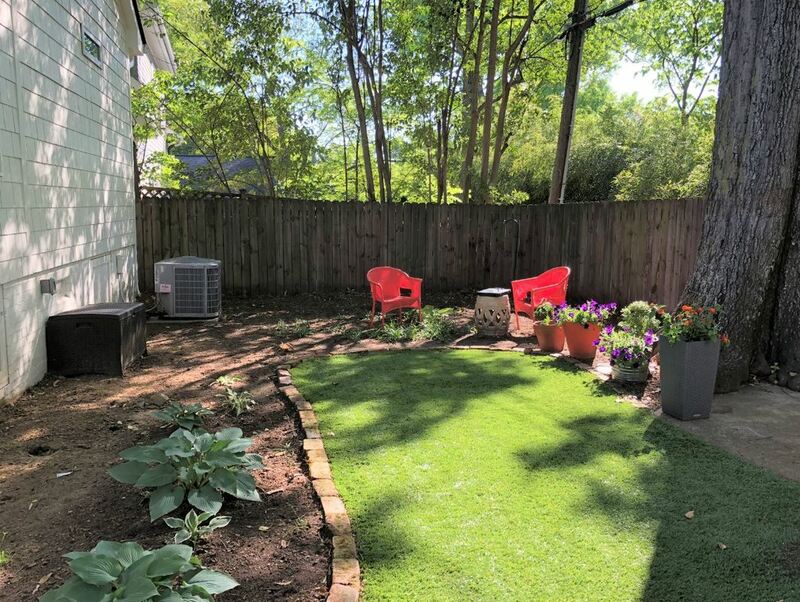 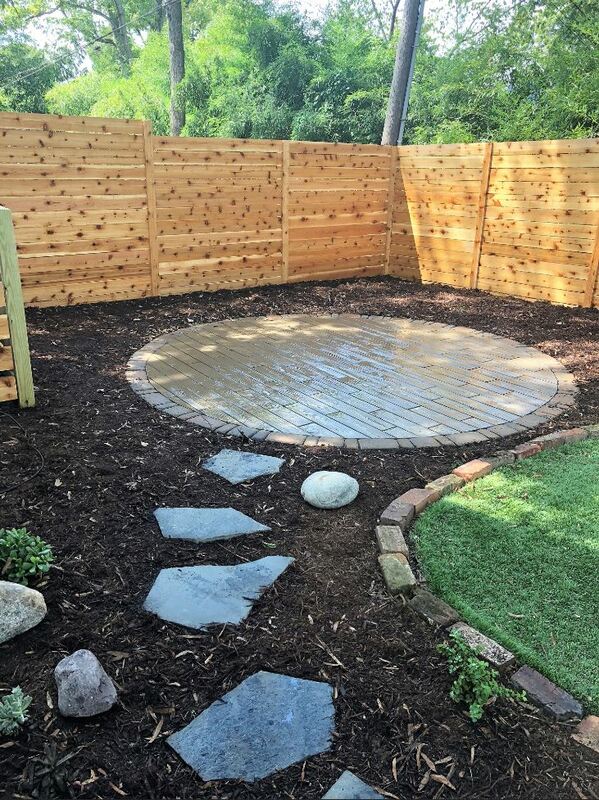 This lovely back yard in Charlotte' historic Dilworth neighborhood offers an inviting and relaxing environment for the homeowners. 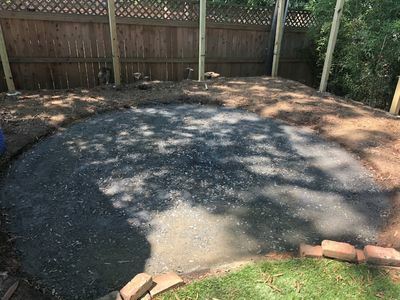 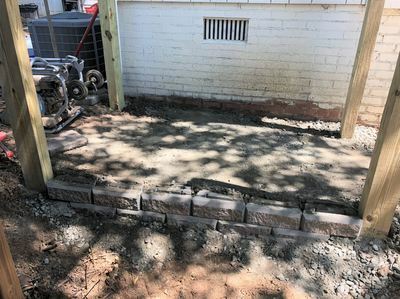 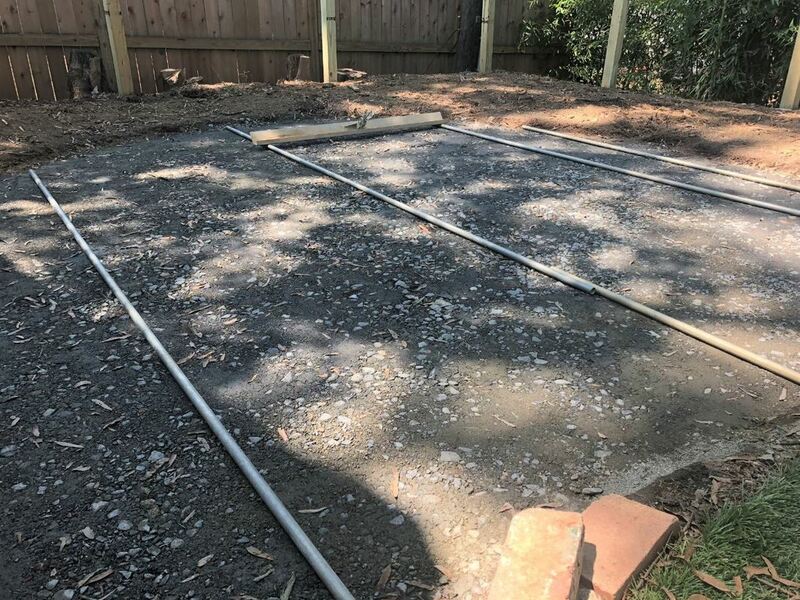 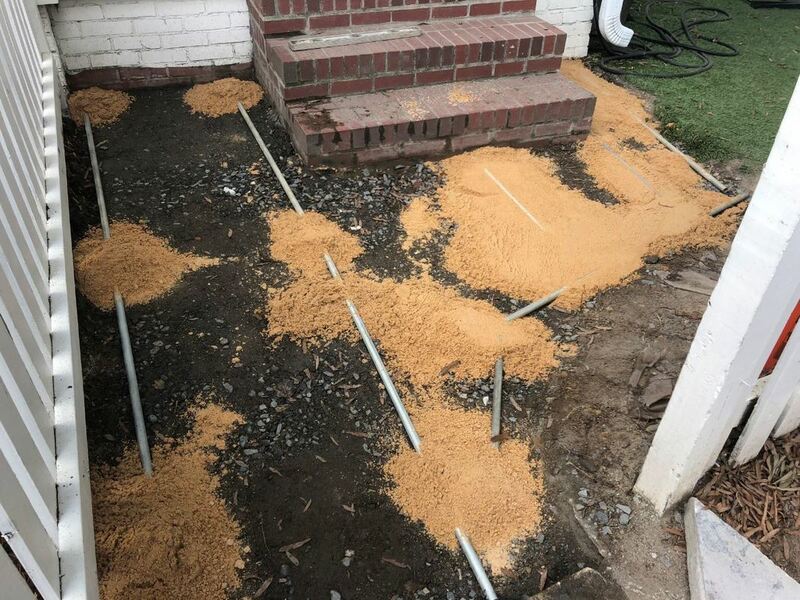 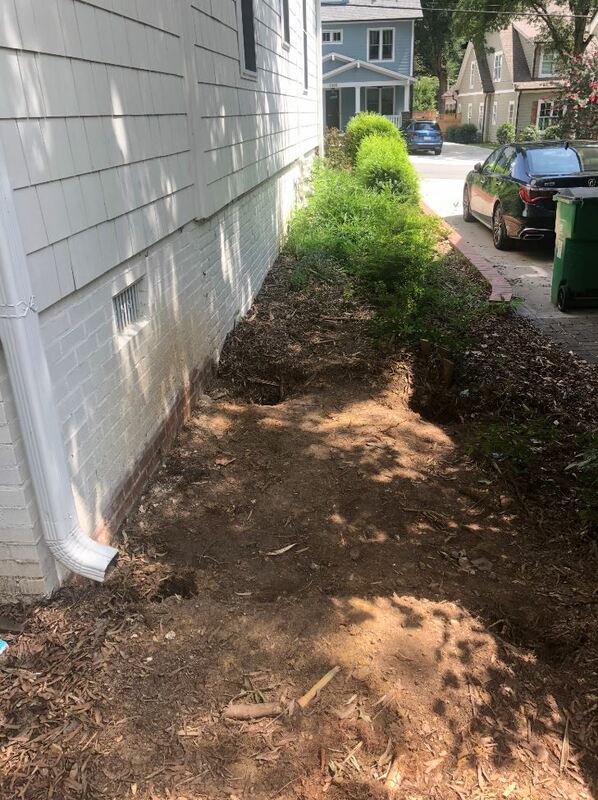 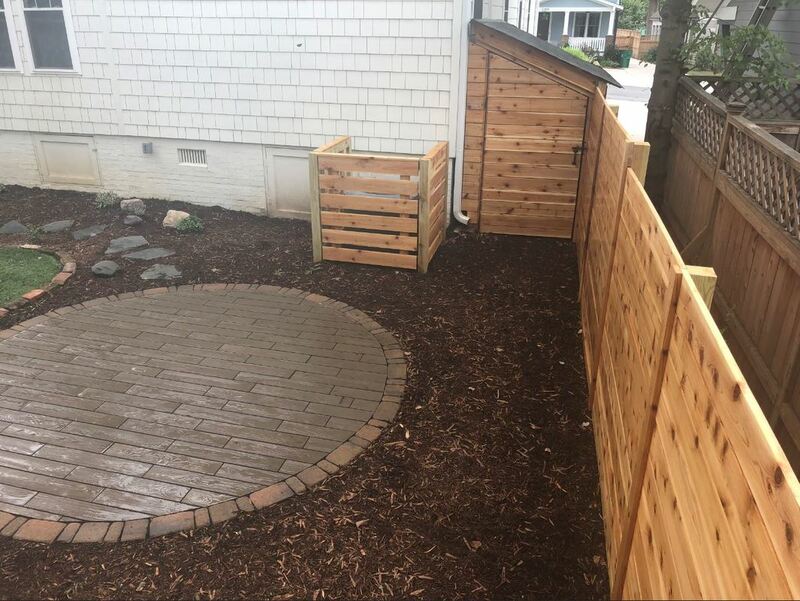 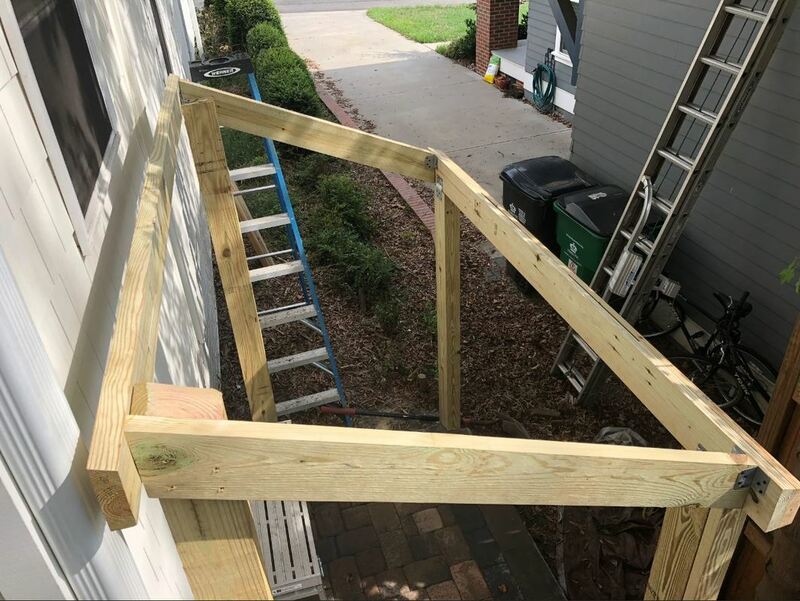 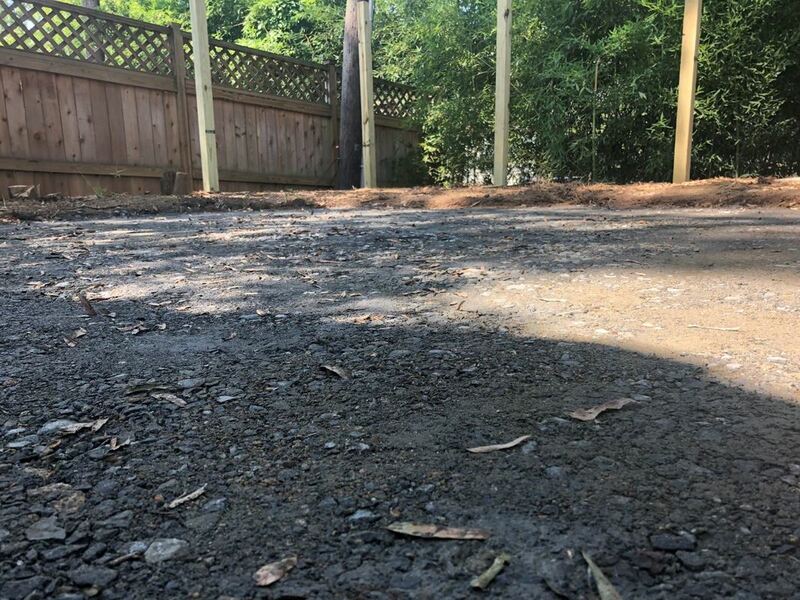 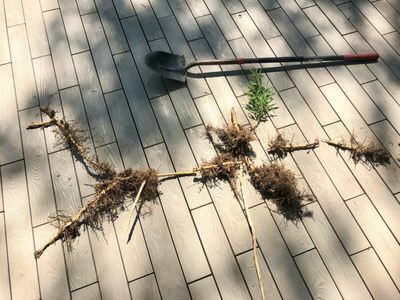 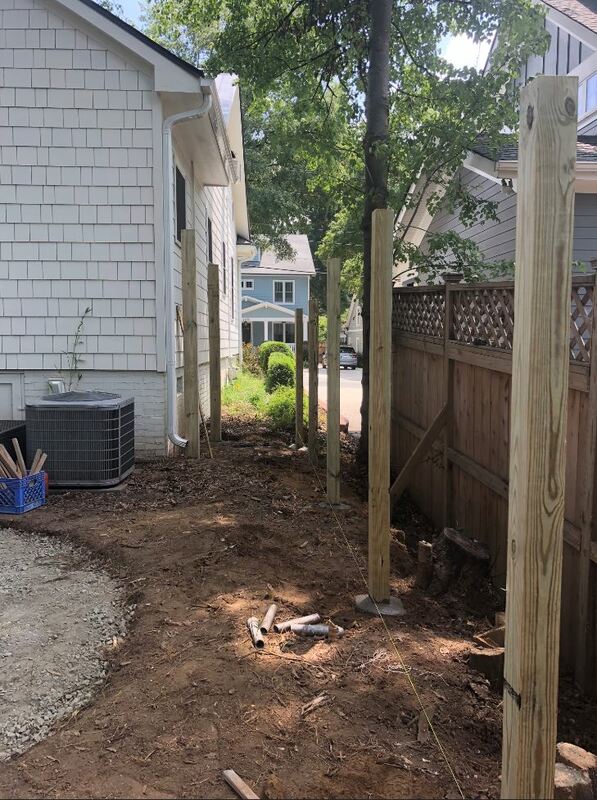 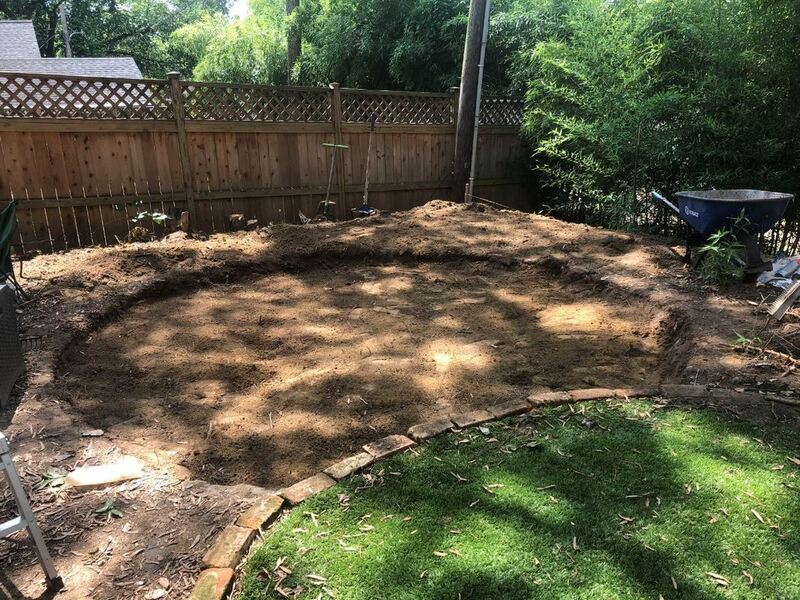 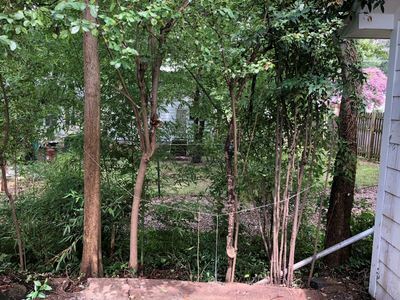 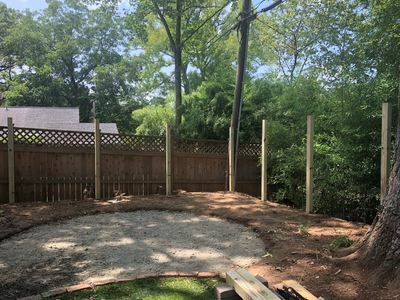 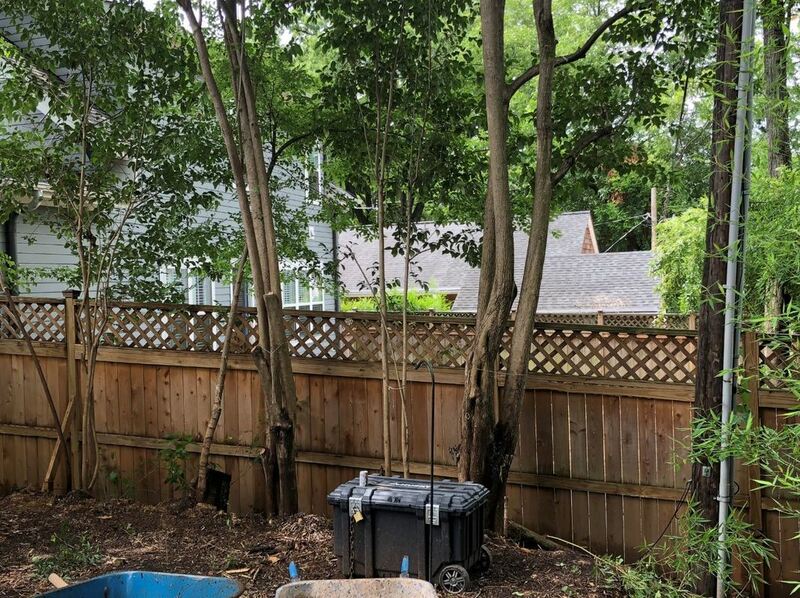 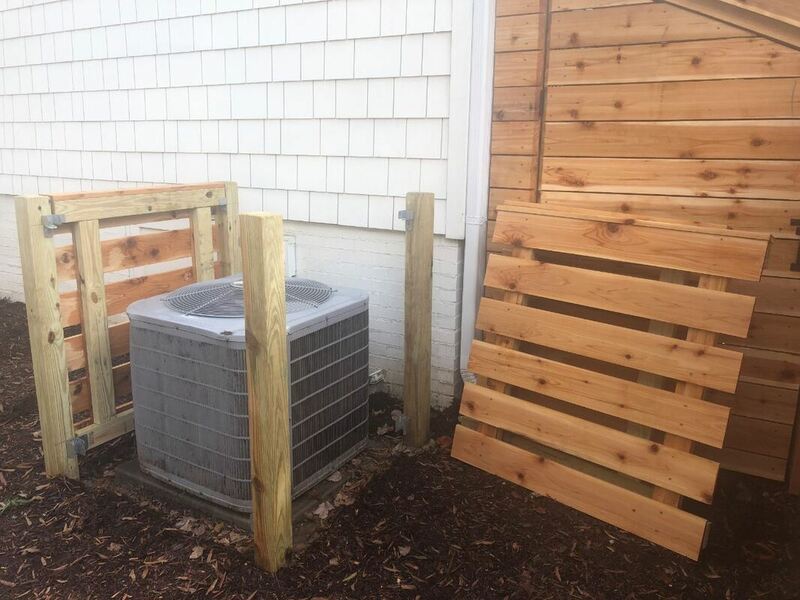 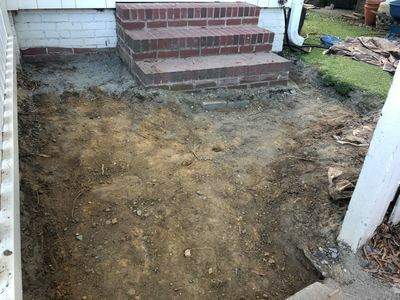 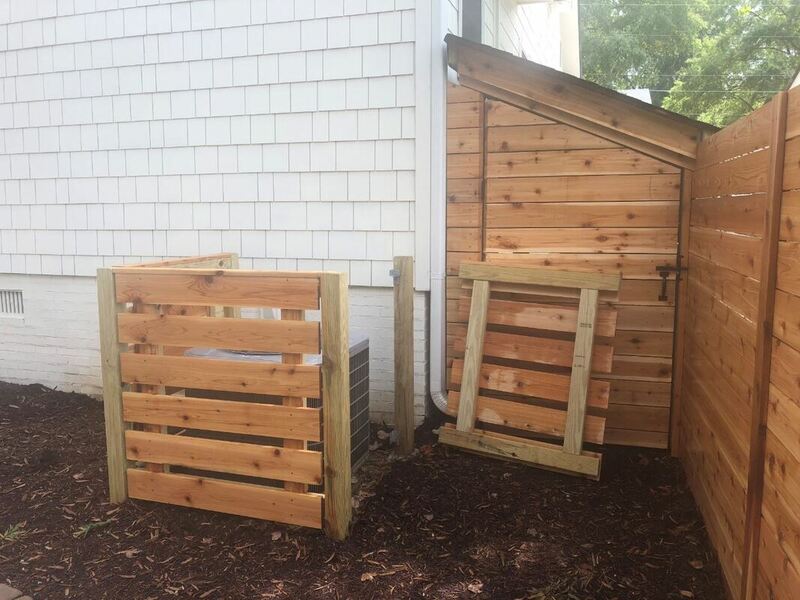 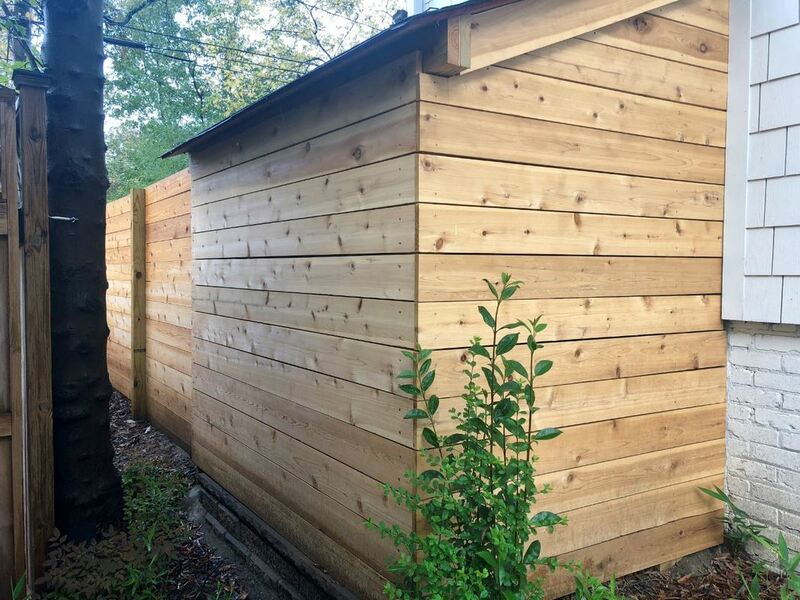 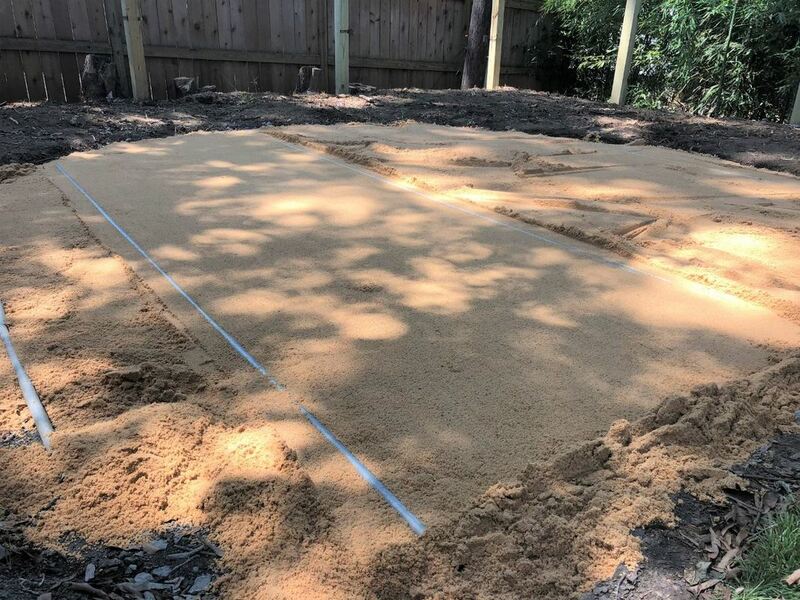 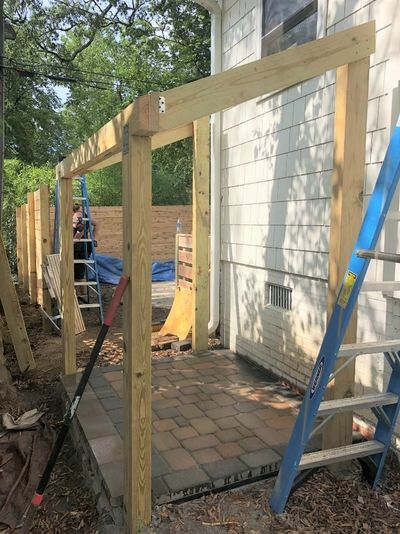 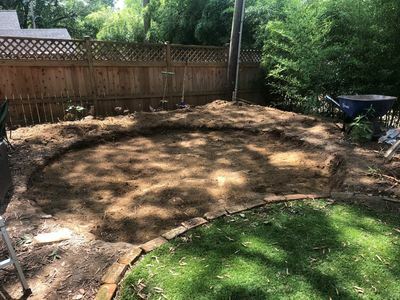 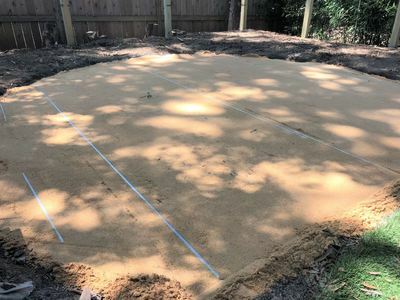 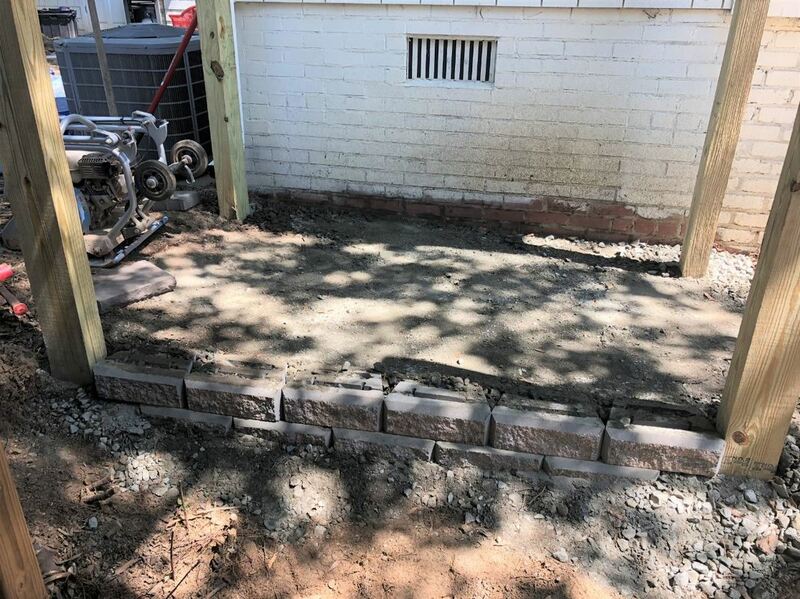 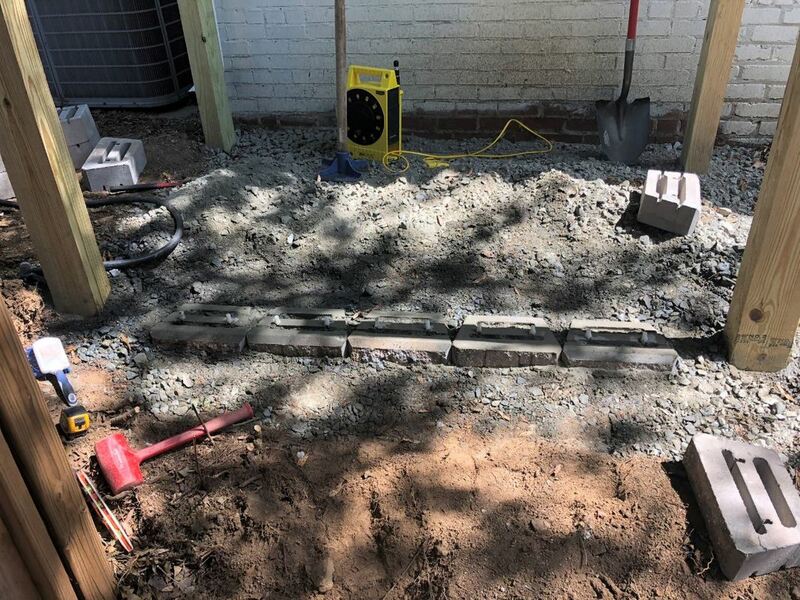 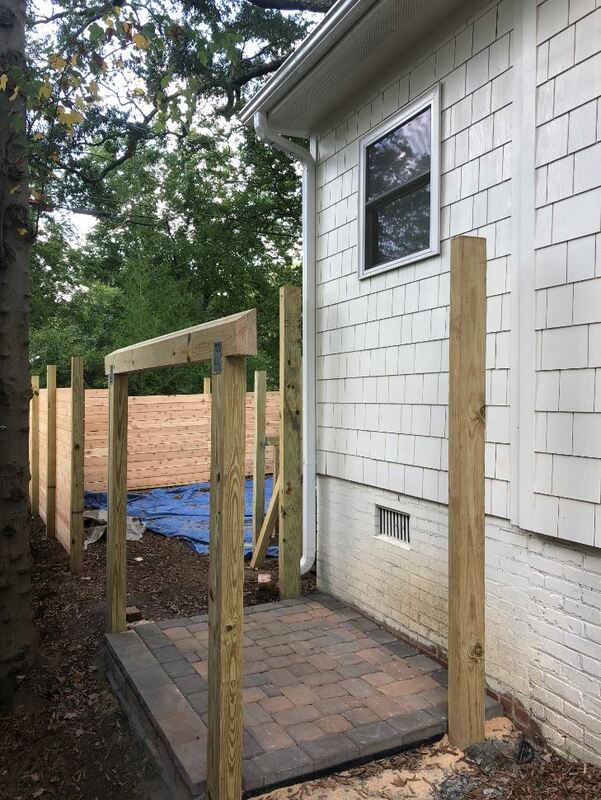 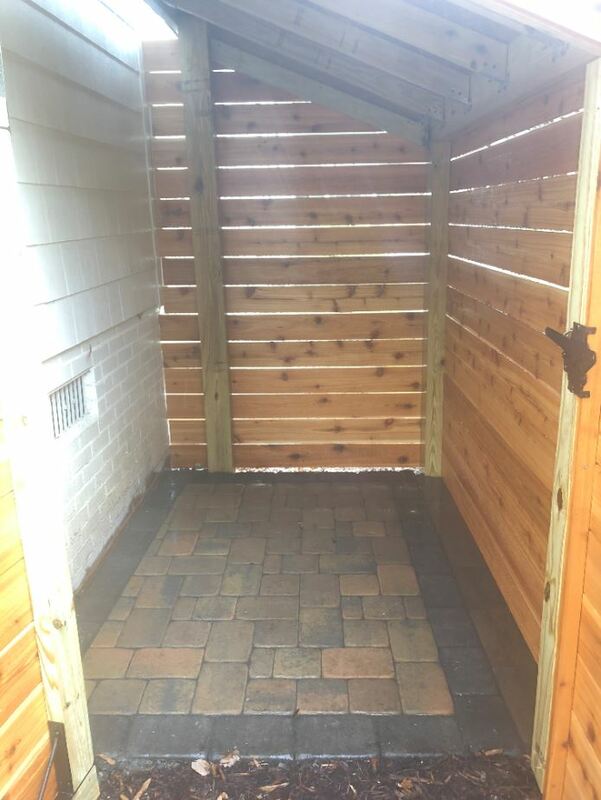 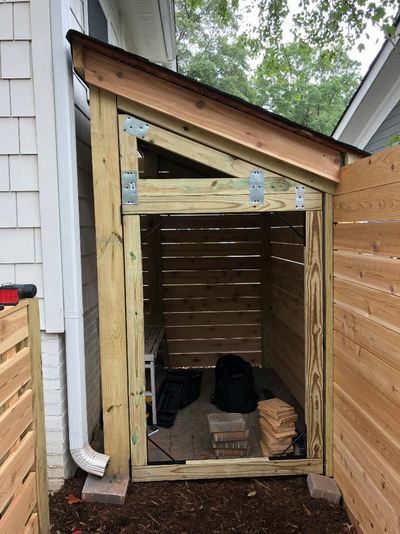 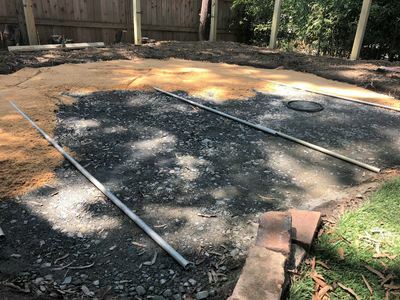 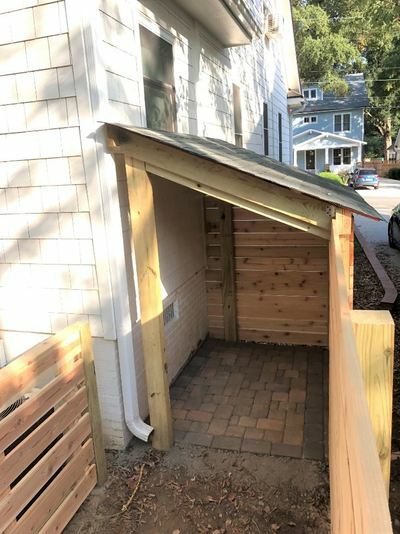 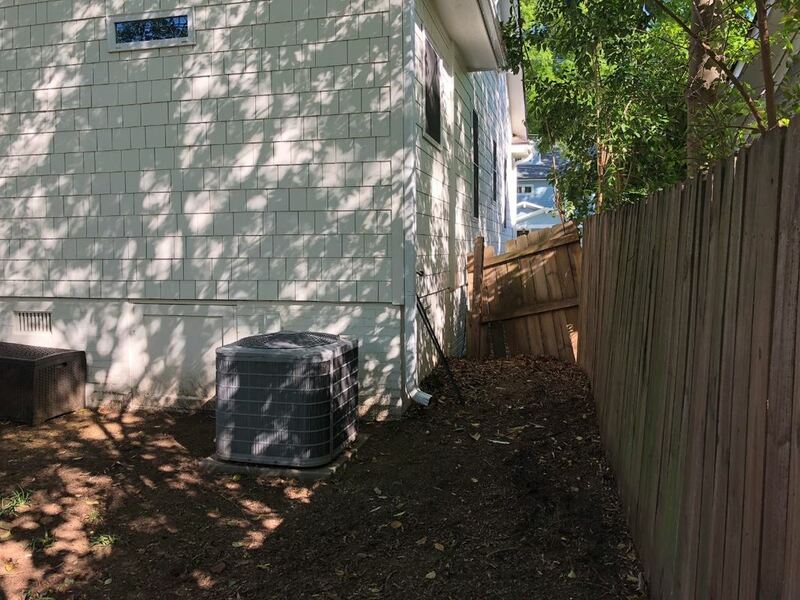 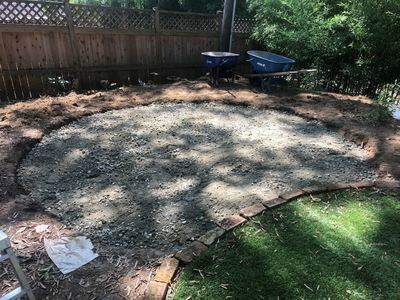 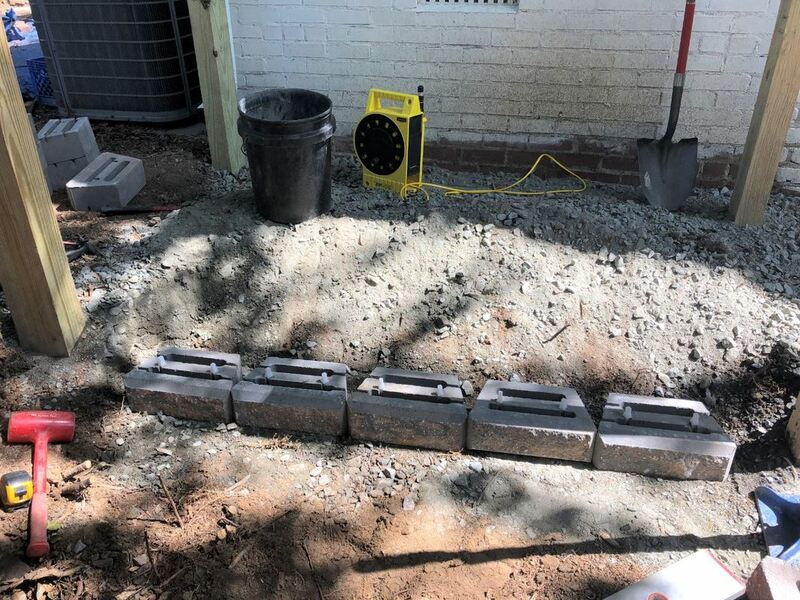 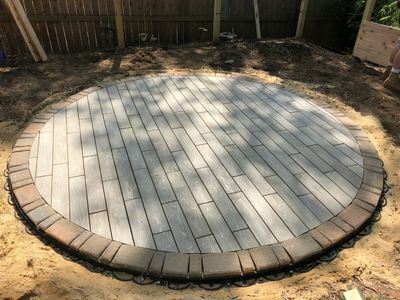 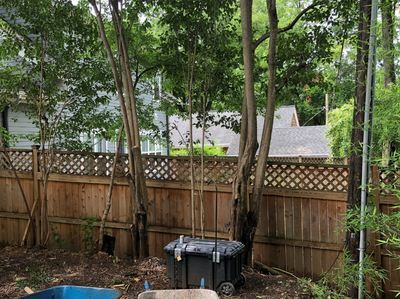 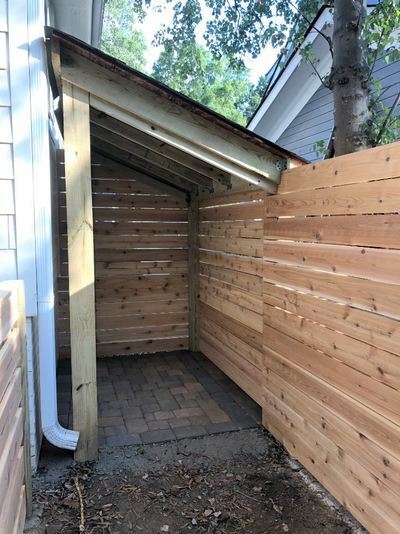 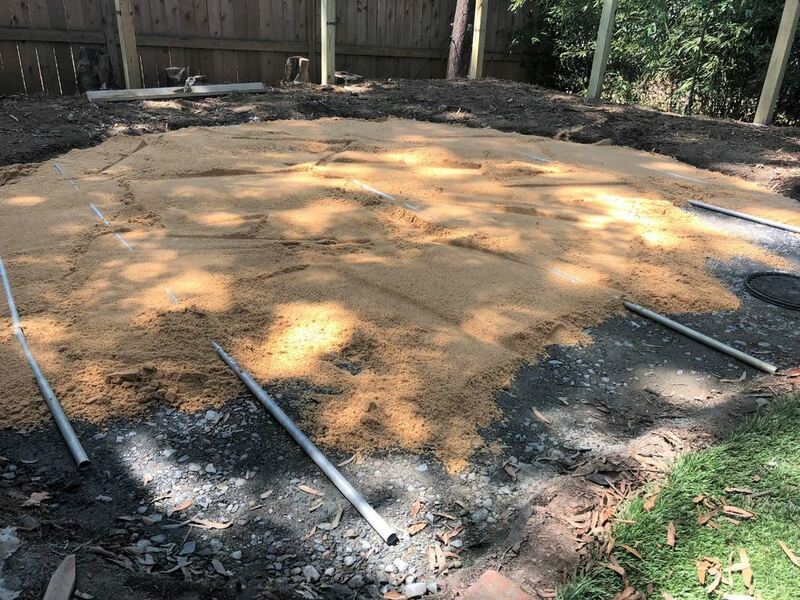 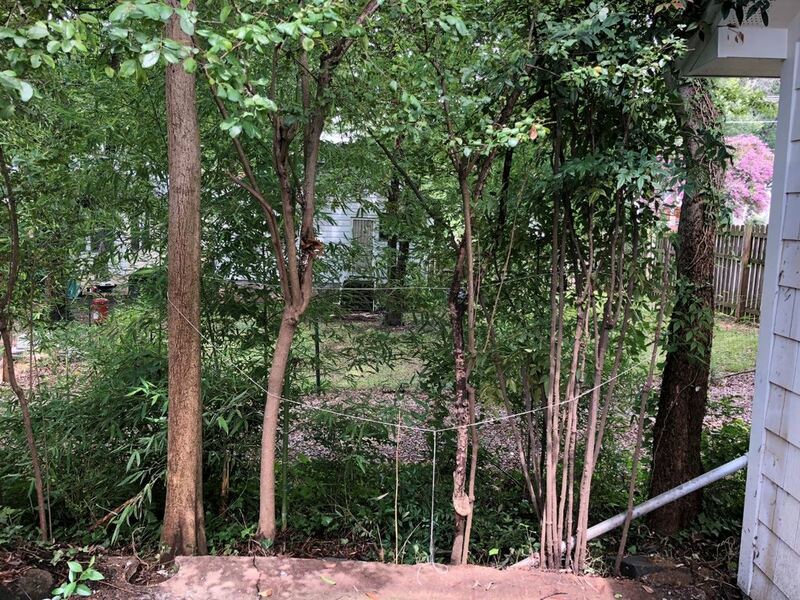 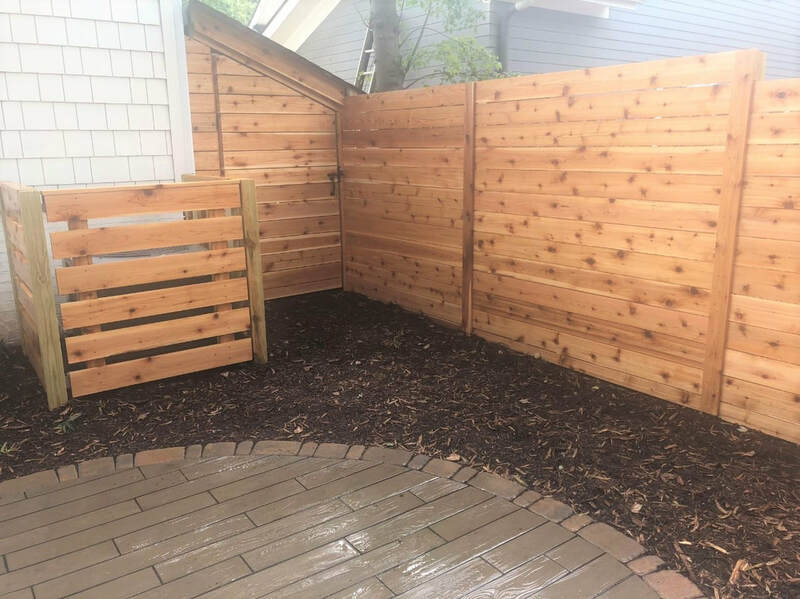 These "Before" pictures show the old fence and stone entrance areas in disrepair, and how the back yard sloped up in some places, inhibiting adequate drainage and creating puddling near the house. 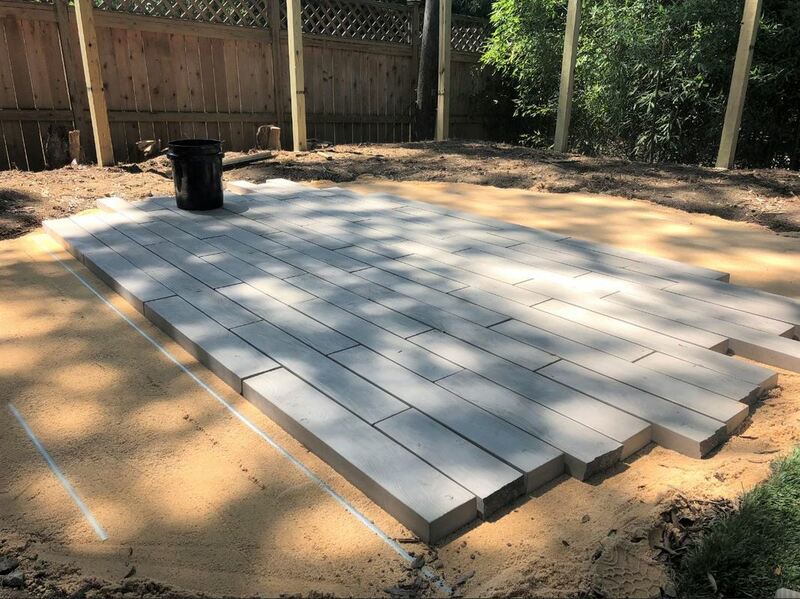 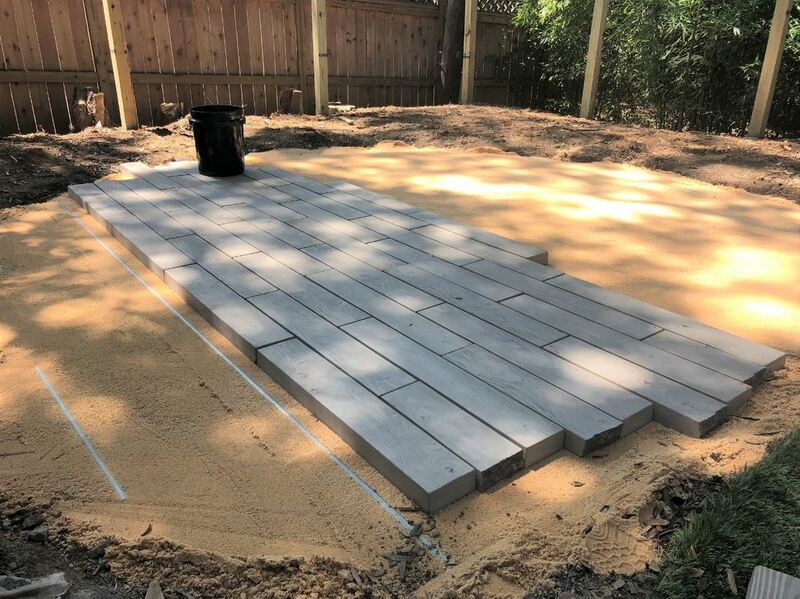 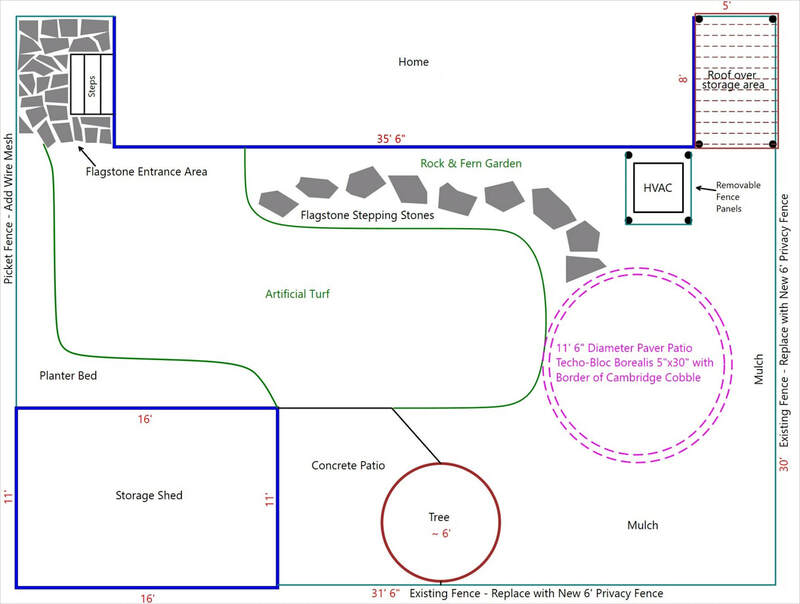 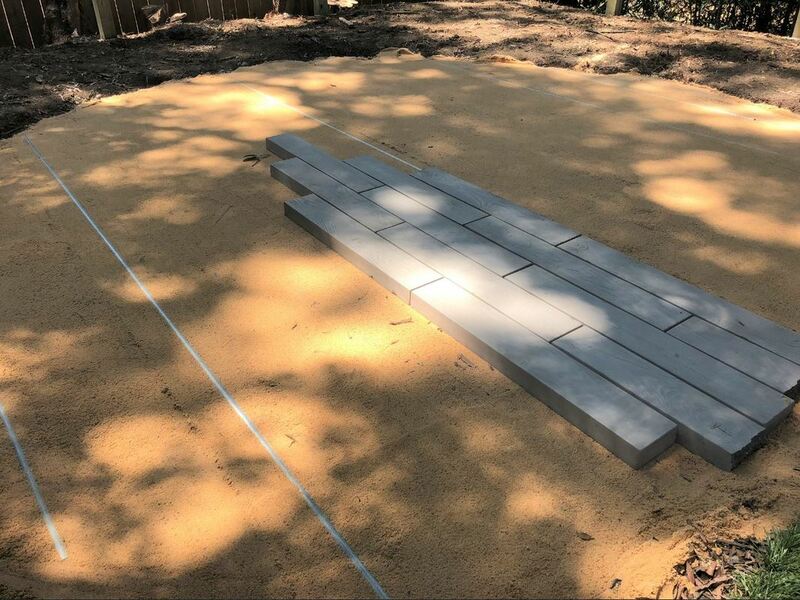 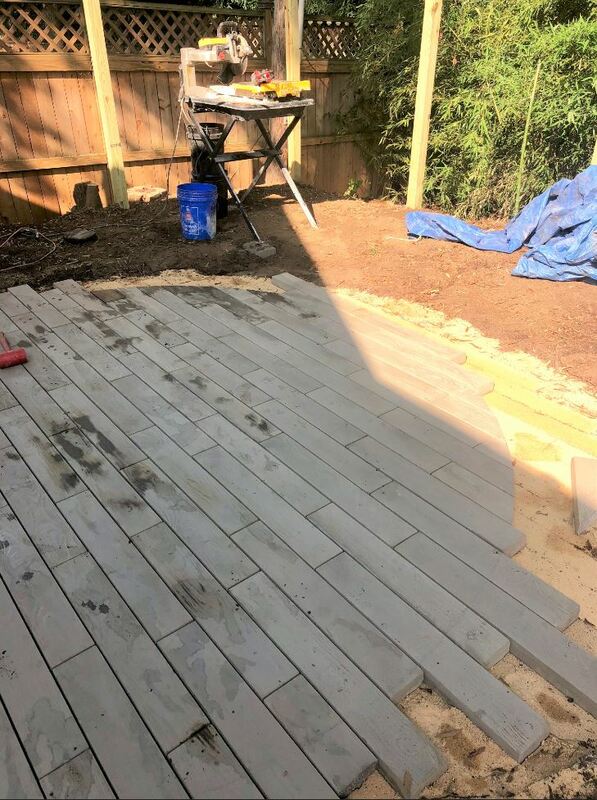 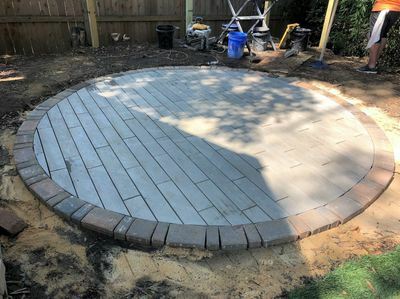 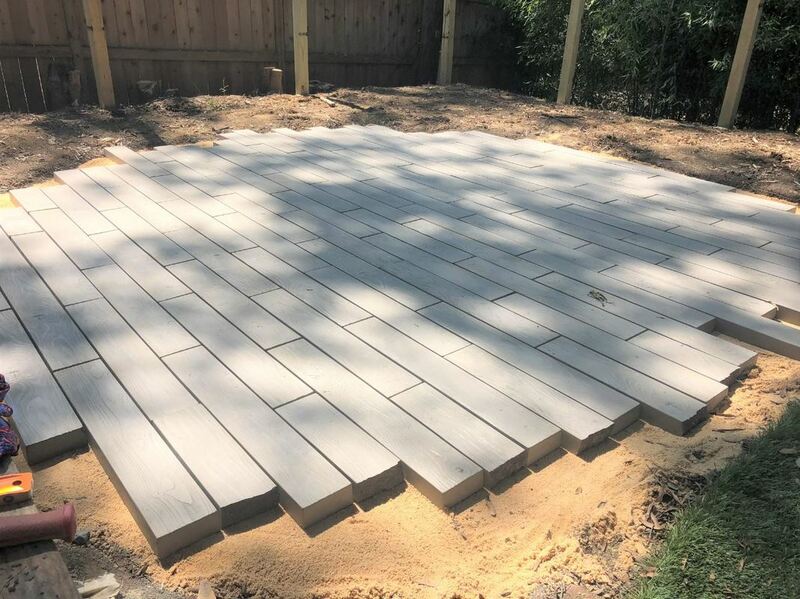 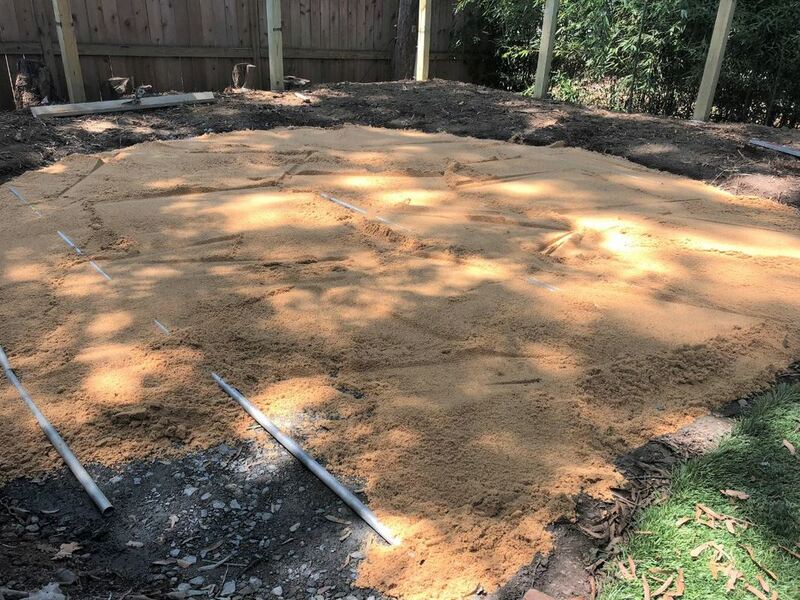 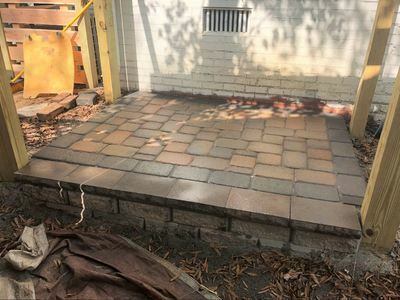 The paver installation process and the construction of the storage area are both very-well documented in this progress series.